This time police get information that someone has stolen few Oscar statues. Maybe we don’t remember news about stealing Oscars. But actually, according to the Academy, 3001 Oscars have been given so far and 70 of them were stolen, including five more that were sold without permission from their owner. The truth about the Oscar statuettes is that they are not gold—they’re gold-plated. But they’re forged from britannium, a lustrous, grayish pewter-like alloy composed of 93 percent tin. So, chemically speaking, the average Academy Award statuette is not too different from a nice-looking set of cutlery and it costs about 400 dollars. However, the owner of the particular statuette is what makes it that valuable. So can we help the police find the persons who are responsible for stealing the Oscars?! In all that rush the police will definitely need some help. 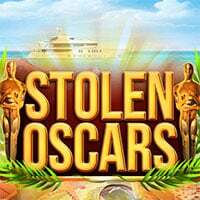 Stolen Oscars is a free online hidden clues game on Hidden4Fun.